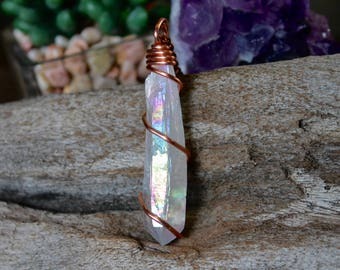 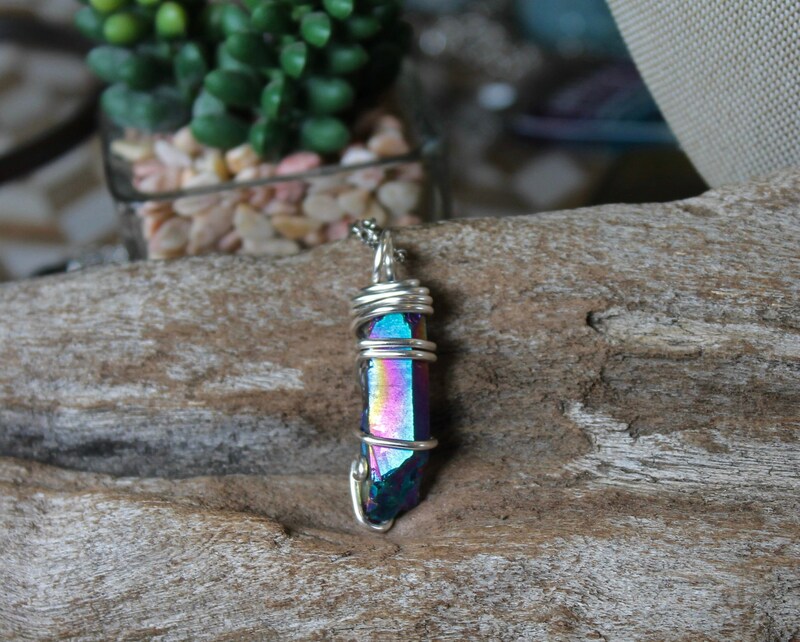 This (double sided) rainbow titanium crystal point has been wire wrapped in silver wire and measures around 1.5" long (including the bail - see photo #3). 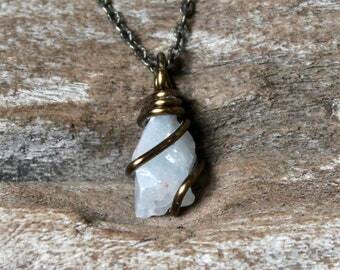 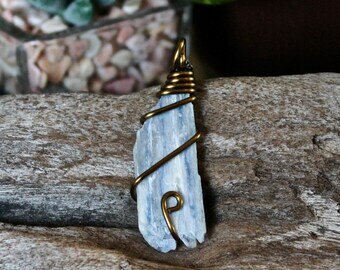 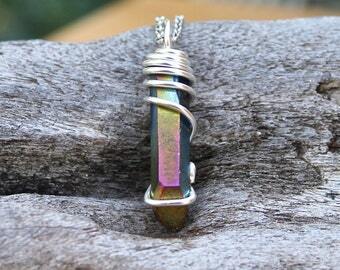 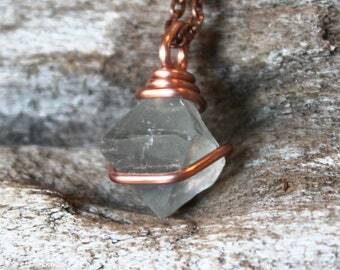 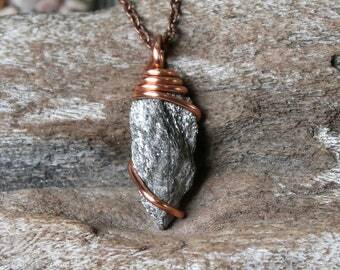 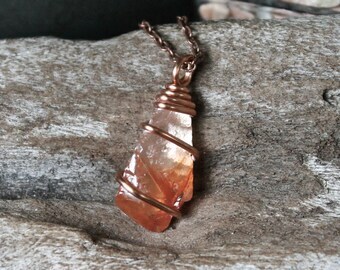 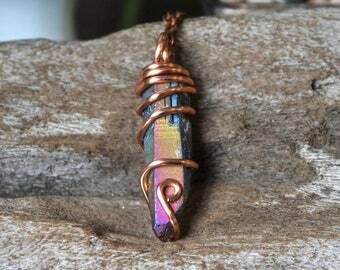 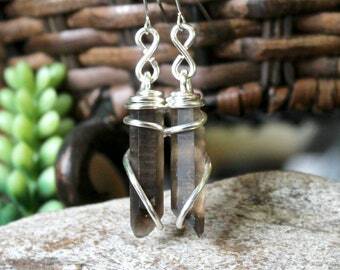 The wire wrapped stone pendant comes on a silver chain - you get to pick the length of your rainbow crystal jewelry! 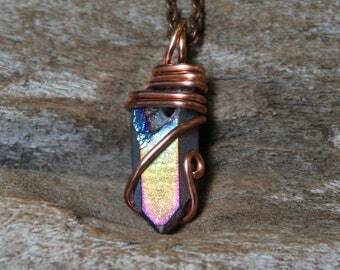 *Please take a look at all 9 photos to get a better idea of the true beauty of this rainbow crystal necklace - it has many sides to it! 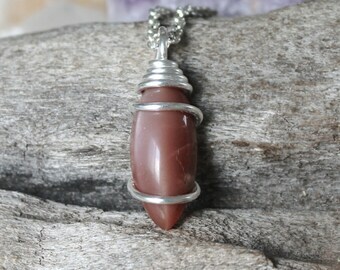 You will receive the exact piece in the photos. 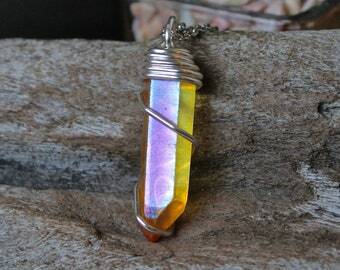 A colorful, one of a kind piece! 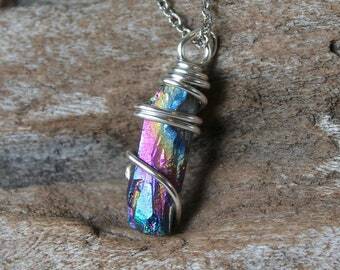 You will receive your rainbow crystal point necklace in an organza gift bag, wrapped in tropical tissue paper and ready for gift giving! 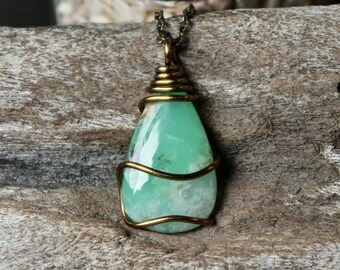 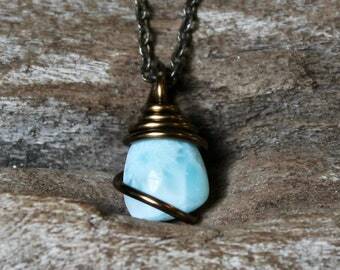 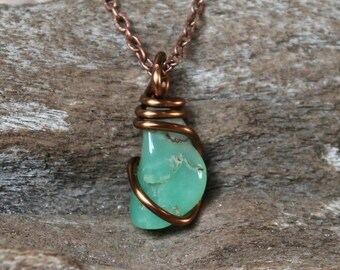 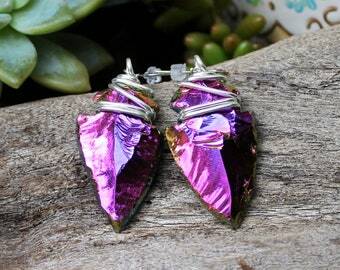 Your gypsy bohemian jewelry should arrive to you within 5-7 business days (going to the US mainland).